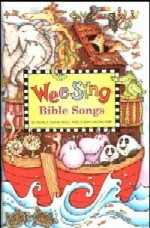 The great, timeless Bible songs your kids need to know! The Singing Bible is a collection of 52 original songs on 4 CDs that take your family through the entire Bible, from Genesis to Revelation. The songs feature stories about Jonah and the Whale, Daniel in the Lion's Den, Elijah, The Ten Commandments, the Books of the Bible, Psalm 23, The Lord’s Prayer, and much, much more. Nothing gives a better feel for a culture than its music. A musical journey to faraway places! Learn songs from many other lands. An excellent companion to world geography and history programs.